Too many cooks spoiling the broth? On the Redvee Preview Show last week, we talked about the benefits of having Barba, Lomax, Richardson, Wilkin, Fages all being able to chip in and that it was like having five half backs on the field which made us unpredictable to the opposition. However last night begs the question, is there too many options on the field? Justin Holbrook alluded to it in his post match presser when he said we had players doing things that they don’t normally do and decided to try some other things and do other people’s jobs. 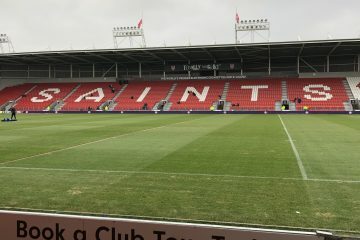 When Theo Fages comes on the field just where is he playing? He isn’t in the halves and he isn’t at 9, has he just got free reign to roam? Have we all been guilt in indulging I. overconfidence? We’ve certainly been guilty of it – I couldn’t see us losing last night. Has that transferred to the players slightly? We seemed intent on trying to play last night like the Harlem Globetrotters with the exhibition style of play. Yes we all want to see entertainment, but a fair amount of hard work and grind in attack needs to be there too. Leeds played the conditions perfectly last night… nothing too expansive, exploit our errors and have a good kicking game on the last with the terrible swirling wind. We seemed at times intent on running it on the last and didn’t test Leeds wingers under the high ball enough – the one real occasion we did, Tommy Makinson very nearly beat Hall to the high ball and got it down. Six games in and won 5, whilst top of the league with best attacking and defensive record. We would have certainly took that at the start of the season. Last night was a setback no doubt, but after the game Social media was out in force with calls for half the team to be dropped. Certain players in key positions had absolute stinkers last night – Lomax was awful and had possibly his worst game I’ve seen him have in a long time, but have these players earned the right to an ‘off’ performance – what signal does it send out if one poor performance sees players dropped? For me, they’ve earned the right to put things right next week and work on what went wrong last night. 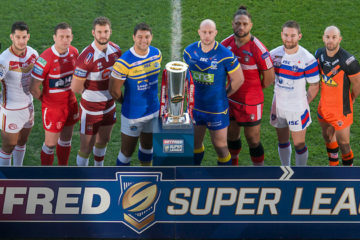 With Wigan looming in a fortnight, the banana skin trip to Hull KR isn’t the time to be trying out new combinations, when what we’ve got with has worked so well over the first five rounds. Last night could well be the best thing to happen to us – it’s made us realise we’re not unbeatable, it lowers expectations and gives us chance to learn and build. I’d be more concerned if we’d been beaten by a far superior side but we weren’t. Leeds showed what a Champion side they are – they do the gritty things well and always hang round in games they probably shouldn’t be in with a shout of. If we can tidy up our execution when we get within 10m of the opposition line then we’ll improve vastly. After we got the game back to 20-22, our following set should have been about getting to the kick and trying to pin Leeds back. There was 8 minutes left and we tried to go for the jugular and all we ended up doing was gifting possession to Leeds with great field position. Game management could’ve been better. Ultimately last nights loss was a combination of individual errors and poor execution – plenty for Holbrook to work on this week and set right. 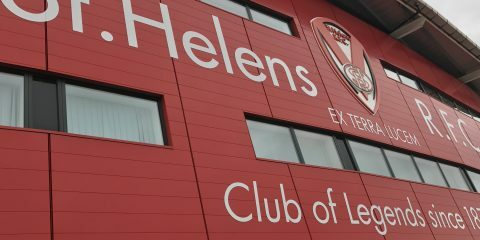 Let’s get back on the horse next week at Hull KR and we’ll come through it fine.